I just sent some live Tahoe weather cam photos to a few folks. It’s a blizzard up there, and this is a 3-day week end… President’s Day over here. Travel from here to the Tahoe area is at a max of 30mph, but most drivers can’t travel that “fast”. I’ll send the cam photos to your regular email so you can see lots of dedicated skiers taking advantage of this white stuff from heaven. Down here we’re in a cold, cold rainy spell with winds from the NE. “Hillwalkers should find it relatively easy to work out where we were from the collage.” A pure guess – Northern UK? Given the fact you’ve been there I thought you might have been more specific 😆 . Florene – thanks for the pics – looks cold out! This is J’s half term so I took a couple of days off – but the weather is dreich – as we say up here. Ah! It must be Scotland then. Probably northern Scotland. Quite correct Alex 😀 . Mr P did a bit of camping in that area. Hi Ken. While on my customary Sunday morning walk up Dumyat today I spotted a black Labrador and a man sitting enjoying the view in the sunshine. I confidently strolled across and said to the man, who looked vaguely like your photos, “Is this Maisie?” He replied, “No. Its Bob.” At that Bob stood up and it was patently obvious that he was not Maisie. If you don’t ask, you’ll never find out! Russell. 😆 😆 😆 Nice one Russell. The problem still existed though with people a bit vary of going up to dog owners enquiring “Is this The Fatdog?”. I could see where that might have caused difficulties. 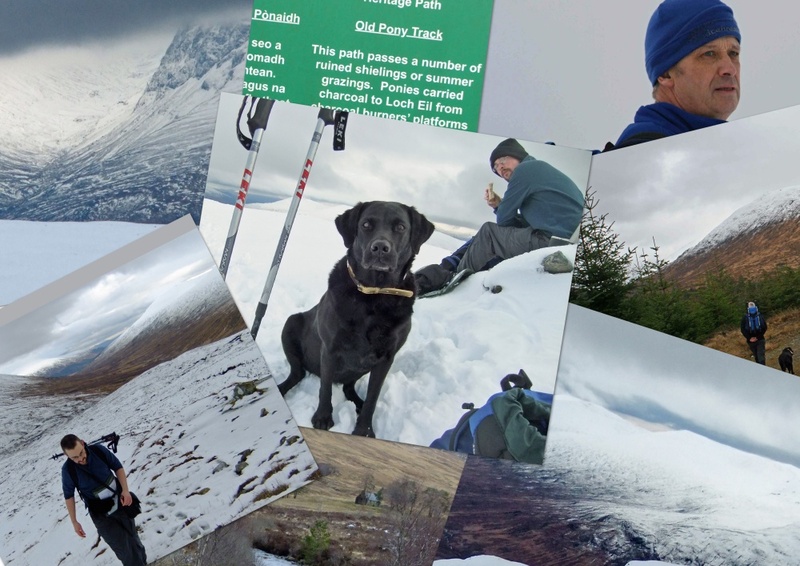 Nice report Ken – how did your walk with Mr P go?